The nights are much longer now and even in a tropical country like the Philippines, evenings are much, much colder. We have no snow, no winter, but the cool, dry season from November to February gives us respite from the rains and typhoons brought about by the rainy season. The cool months are the most pleasant for many Filipinos, a stark contrast to the scorching summer days, which begin soon after the cool February days come to an end. 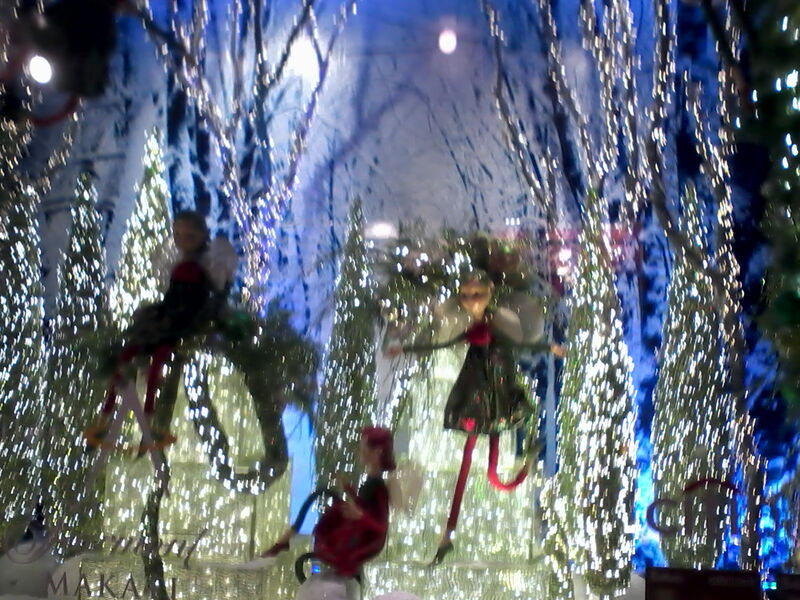 The Philippines celebrates Christmas in a grand way – and for a long time. 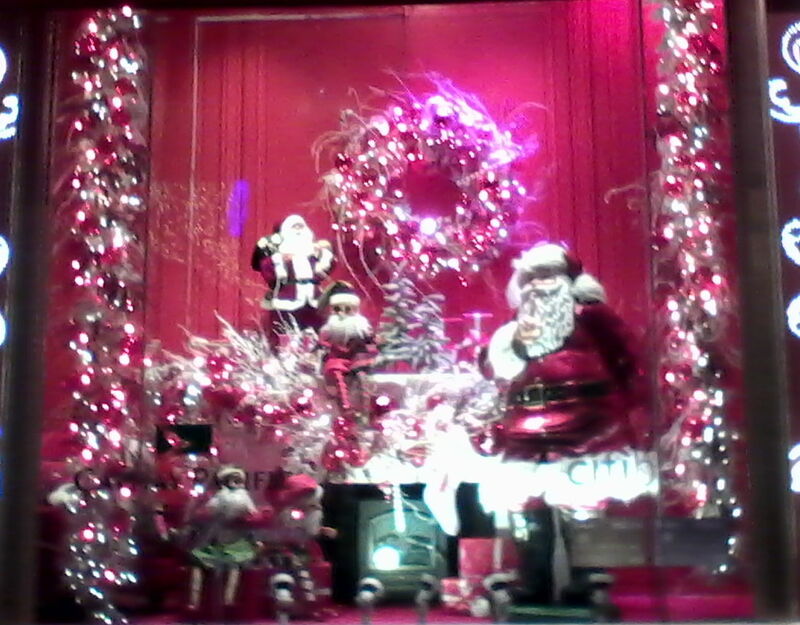 Stores and malls begin to display and sell Yuletide items as early as September. 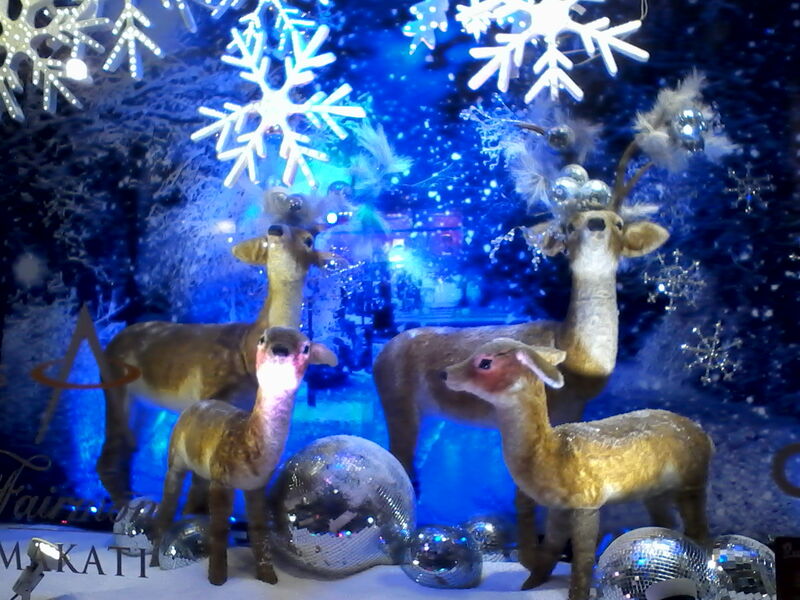 There are plenty of glitter and snow-themed displays everywhere. 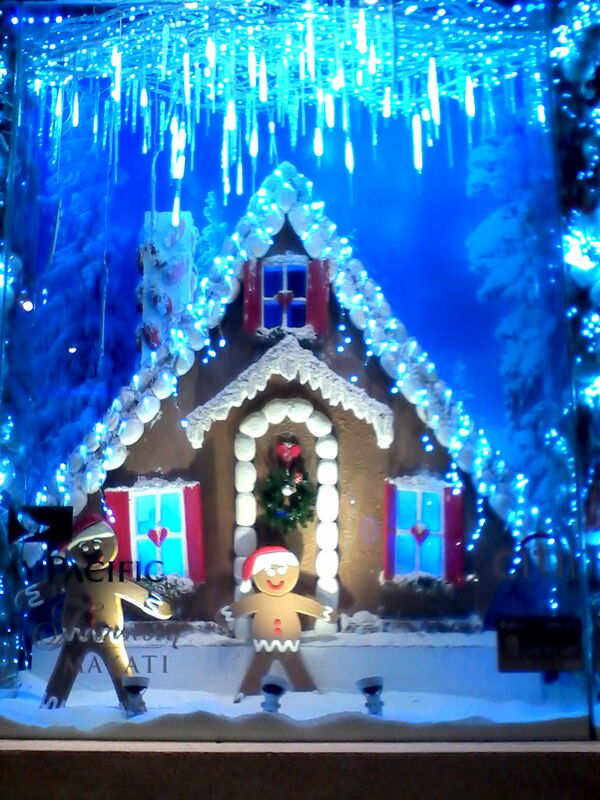 Many of the displays are so colorful, whimsical… and so western! One of the more popular and ubiquitous displays during Christmas are the poinsettia flowers. 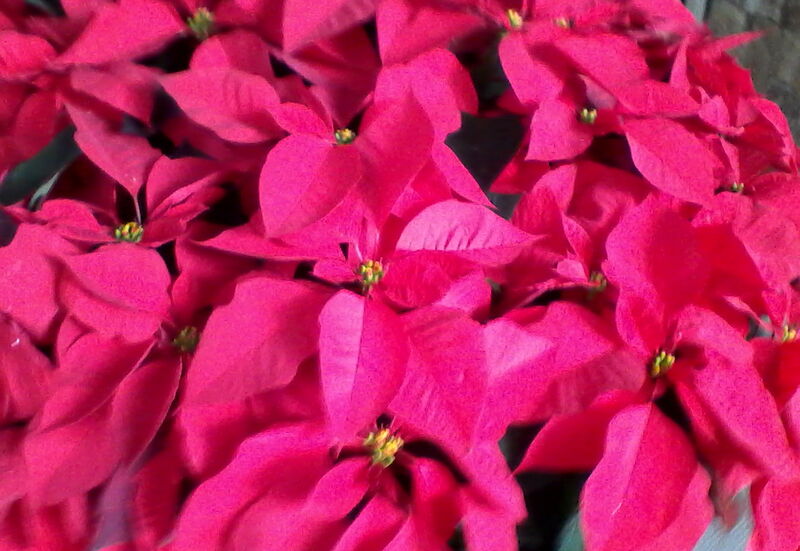 Christmas in the Philippines is never complete unless there are poinsettia flowers – either real or artificial. The poinsettia is indigenous to Mexico and Central America, where the climate is cooler. In the tropics, gardeners have to give the poinsettia extra care to make it bloom in time for Christmas. The plants are gathered in a dark, cool place in October and they stay there till they bloom. If there are no dark places where the plants can be stored, each plant is covered with dark plastic. By early December, the plants are in full bloom. But left on its own, the poinsettia plants that thrive in the tropics bloom in mid-January or early February, which are usually the coldest months of the year. Another favorite item on display all over the country during Christmas are the star lanterns. Called parol in the vernacular, these lanterns are usually made of thin colored paper or plastic. Of late, the parols have staged a strong comeback, a manifestation of the resurgence of patriotism brought by about the recent calamities that have hit the country. Filipinos are by nature a happy, festive people. 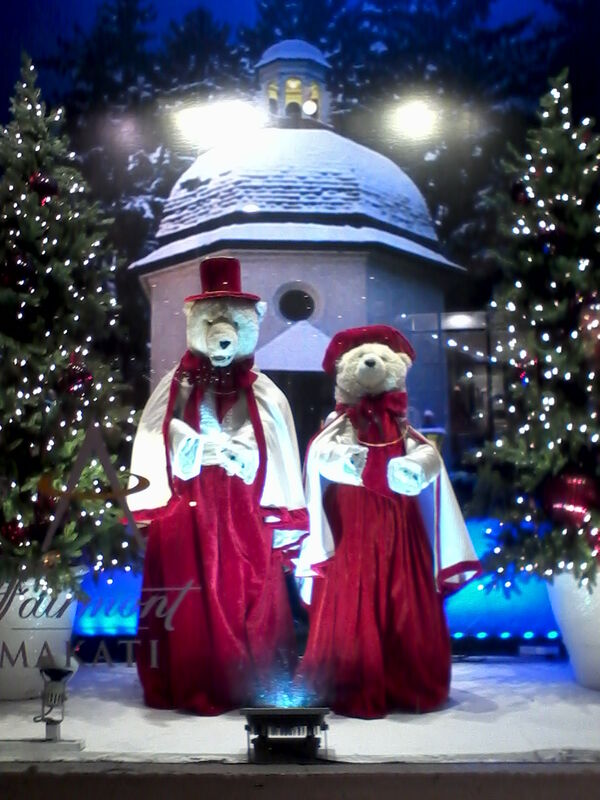 Even in times of disasters and calamities, they will always find a way to commemorate Christmas. Next PostWhat’s Your Word for this Year?